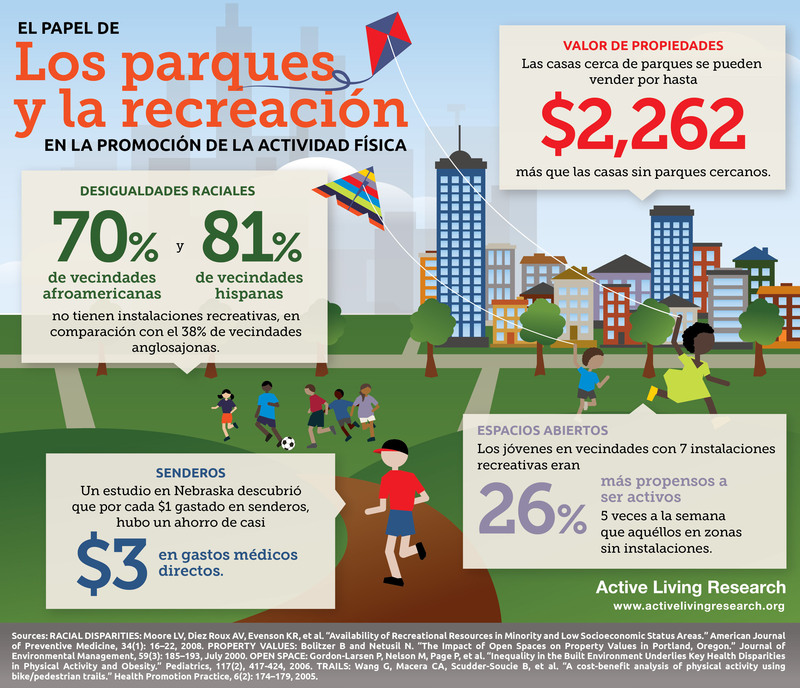 Our popular The Role of Parks and Recreation in Promoting Physical Activity infographic has now been translated into Spanish. This infographic can be downloaded for free in JPG format (902 KB) by clicking on the image or the "Download Original" link. A high resolution PDF version (1.16 MB) of this infographic is also available upon request. When requesting, please let us know how you intend to use the infographic.